1. Insurance. Unfortunately we live in a very litigious society and when you’re selling a product for human consumption there is the possibility of being sued by customers. Even if your customer becomes sick for another reason if they ate something like a local cheese product they might believe that it was your product that caused the illness. I searched around online and found some information about product liability insurance in addition to general liability insurance and I’ll keep you posted on how this avenue develops. One area where a lot of farmers have reported trouble is in selling products made from raw milk or raw milk itself. It appears that insurance companies are still misinformed about the danger of raw milk products (such as hard cheeses which are very safe). 2. Vat Pasteurizer. This will be one of our biggest expenses in the new set up. There are lots of small vat pasteurizers on the market but unfortunately not many of the small volume pasteurizers are made with commercial grade materials. I’ll be doing lots of research in this area both in new and used equipment. 3. Chilling Tank. 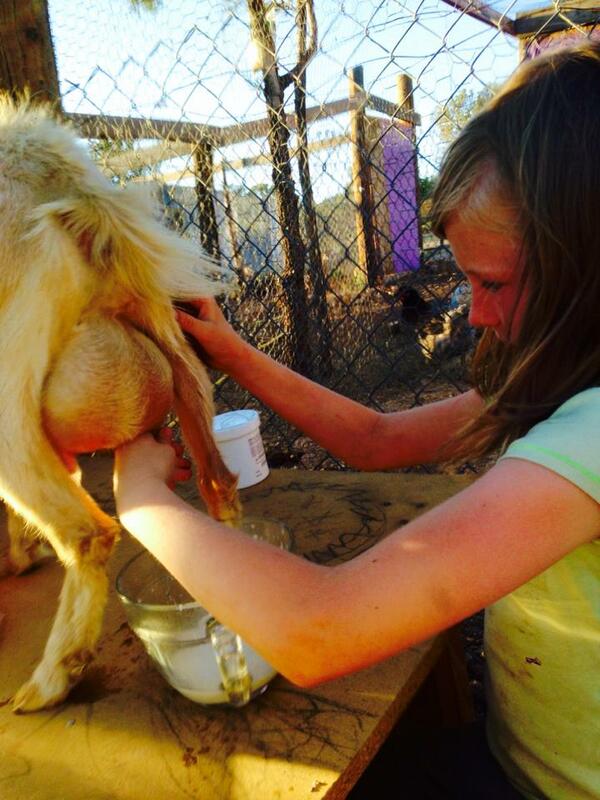 Milk has to be taken from the body temperature of the goat to below 45 degrees within 2 hours. Again this is an area where commercial tanks come in large sizes and finding smaller ones will be a research task. The chilling tank has to have a paddle-type agitator so that samples taken from the chilling tank are representative of the whole sample. The USDA inspector will take samples from the chilling tank periodically for testing. 4. Water Sample. A sample of water from our well will need to be tested. 5. Facility. We are debating converting our newly built metal barn or our vintage trailer into the milking parlor and cheese room. The facility needs to have a floor drain and slope towards it. It needs to be composed of appropriate material that can be cleaned and sanitized (i.e. : concrete, tile, etc). Our inspector is going to come check our our site on Saturday and let me know what other considerations need to be made and work with us on what order things need to be accomplished to get permitted. ← Drumroll Please… The Winners Are…..